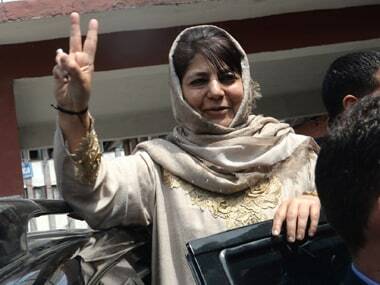 After months of political unrest in Kashmir threatened to create an unbridgeable gap between people of the Valley and the mainstream politicians, Jammu and Kashmir Chief Minister Mehbooba Mufti has embarked on an ambitious plan to reconnect with the people. This is the first time since Burhan Wani's death last year, that the chief minister will interact with the public. 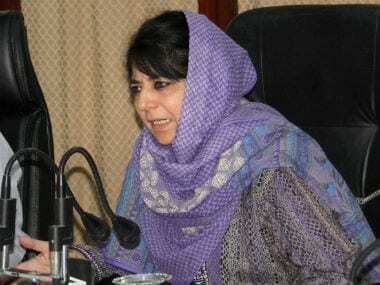 On Sunday, Mehbooba spent an entire day listening to the elders and youths in the volatile Pulwama district of south Kashmir and exploring possibilities to speed up developmental works that have halted due to the turmoil on the streets in recent months. "She listened to us patiently," Tariq Neva, a long-time Peoples Democratic Party worker in the district told Firstpost, "She asked us to suggest fresh ideas to engage youth and help the government in facilitating developmental works at a fast pace in the district." Senior party leaders and workers who attended the public darbar revealed that Mehbooba avoided making speeches and instead preferred to listen to various delegations. During her interaction, she outlined a comprehensive roadmap for the development of Pulwama town and other areas of the district. 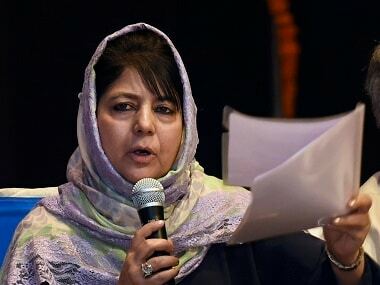 A senior party leader said Mehbooba, who is also the president of her party, is planning more such interactions, particularly in the south of Kashmir, the epicenter of last year's uprising, to bridge the widening gap between the government and the people. 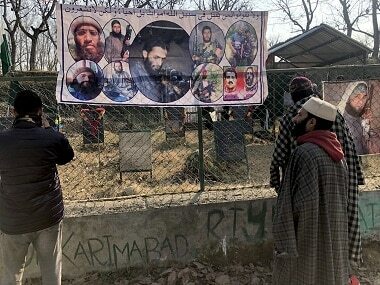 Since July last year, the ugly turmoil in south Kashmir has not only forced mainstream politicians to live far away from people due to the security risk posed by the deteriorating security scenario, but they have also closed their doors for the very people whom they are supposed to represent, if only temporarily. Last year's violence that had engulfed the Valley after the killing of Burhan and the renewed counter-insurgency operation against the militants this year has only widened the divide between the rulers and the ruled. Victims of violence (both people of Jammu and Kashmir and the representatives of the government) have closed doors for dialogue. The politics of engagement is dying a silent death. So much so that a sitting legislator of PDP from Batamaloo constituency, Noor Mohammad, was chased when he was attending a marriage function in the interior of Zainakote area on the outskirts of Srinagar city. The police denied the incident even took place but have failed to explain why its men chased protesters in the area. PDP's image suffered badly after the party chose to ally with the BJP in 2014, but it was further dented to a point of no return in the wake of a massive crackdown by the security forces on protesters and the New Delhi's clampdown against the separatists in the Valley. "The start of a marathon meetings from Pulwama district, which was at the forefront of the agitation last year and continues to remain the hotbed of militancy, is aimed at trying to rebuilt the nearly lost legitimacy of the government and winning back the foot-soldiers of party by carrying out developmental work at a fast pace," a senior PDP leader said. But the million dollar question is: Does Mehbooba have enough time on her hands to reclaim the ground that her party has lost since she came to power? Will New Delhi stop the politics of aggression in Kashmir and apply balm on the wounds of people? Some analysts describe this widening gap between the people and the ruling dispensation as a fodder for separatists and separatism to flourish. However, they also caution that if the politics of engagement remains stagnant for a long time, there is a possibility of losing whatever little faith people have in democratic institutions. 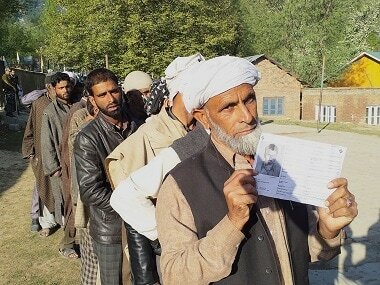 "They (mainstream politicians) are facing a tough challenge when it comes to regaining their lost ground," said Noor Mohammad Baba, a political analyst in Srinagar, "but for the people in rural areas, who have been at the forefront of the agitation this time, they have no other ways of addressing the local issues of governance. That ultimately translates into votes during elections." In recent months, even for the grassroots political workers of different political parties, carrying out normal political activities has been fraught with dangerous consequences. Many have been killed, and most faced public wrath at the hands of militants and people alike. So on Sunday, when the workers of PDP gathered in a tent outside the circuit house of Pulwama, which has provided the maximum number of youths to 'new age militancy' during the last year of turmoil, it infused a new lease of life among workers. "The situation is certainly becoming better," said Vikar Ahmad, a resident of Tahab village in Pulwama district, "But that does not mean we are out of danger. New Delhi should make a fresh beginning if it wants to win our hearts and minds. It has to reach out to all people of Kashmir, regardless of their ideology." 1Worried over widening gap with Kashmir youths, Mehbooba Mufti starts public darbar, but is it too late for PDP chief?